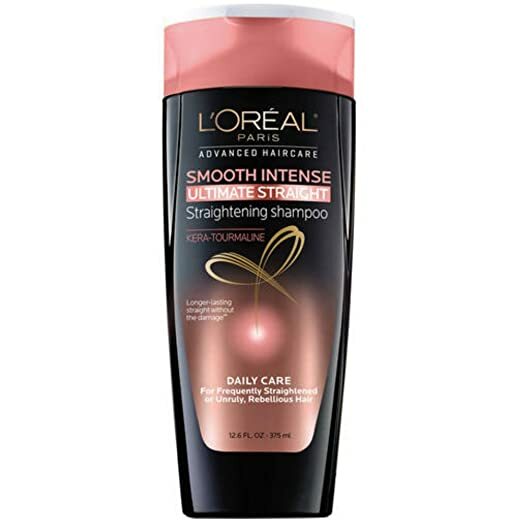 Smoothing shampoo for a longer lasting smooth effect, without damage. ULTIMATE STRAIGHTLONGER LASTING STRAIGHT WITHOUT DAMAGESMOOTHES HAIR FIBRE FROM ROOT TO TIPFRIZZY OR STRAIGHTENED HAIRINNOVATION: KERA-TOURMALINEAdvanced formula for instant results and lasting transformation:With KERATIN – our system with protein penetrates the fibre for healthier hair.With TOURMALINE – our system reacts with heat to boost straight effect from root to tip.PROVEN RESULTS:LONGER LASTING STRAIGHT WITHOUT DAMAGEOur system helps smooth each hair strand from root to tip for extraordinary straight hair transformation. No flat, stiff or dull results.